More Batman domain names than you can shake a Batarang at. Technology site Fusible has posted an interesting discovery (via Gaming Everything) of some new domain names that have recently been registered by Warner Brothers. As all of the following domains either have the word “Batman” or “Arkham” in them, you can obviously imagine that this piques the interest of plenty of gamers out there, eager to see another Rocksteady Studios-developed Batman game. Of course, this might just be Warner Brothers registering these domains as a means of protecting their intellectual property and even if these names do refer to future products, there’s no way of telling whether it will be a new game, comic, graphic novel, television series or even a movie. But with Rocksteady’s Arkham series being so successful, we can but dream of another chance to don the pointy ears of The Dark Knight once more. 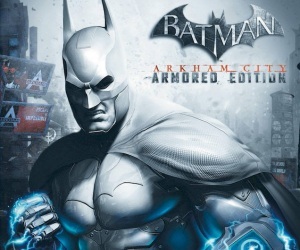 Batman: Arkham City was recently released on Wii U as Armored Edition. You can see Adam’s review here.